Regarding the ‘how to reach’ part, train should be the comfortable option. There are many trains from Howrah. Check Indian railway’s passenger reservation enquiry website for all the information. Also use the IRCTC website for ticket booking. 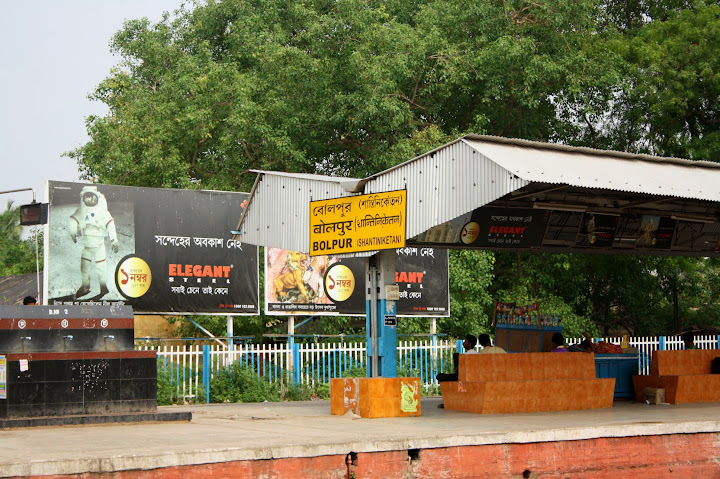 I took a train that left Howrah at 08:30 morning and reached Bolpur which is the nearest railway station to Shantiniketan by 12 noon. From there, it's a 20 minute rickshaw ride to the Visva Bharati premises. Auto rickshaws and taxis are hard to find, better go for a man-rickshaw. They charge around Rs 60. 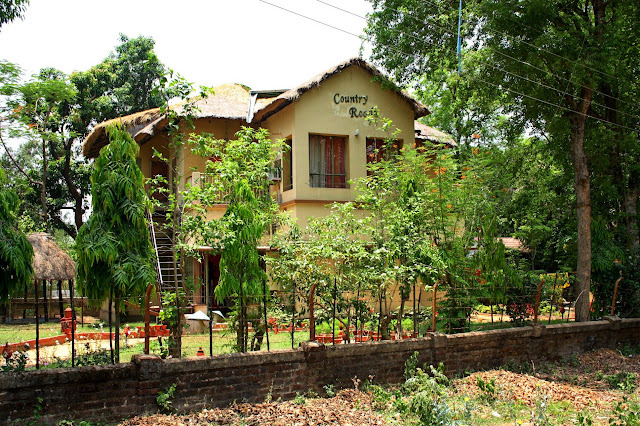 I had booked my stay at Country Roads, a home stay which is located near to Visva Bharati main gate. I must say it was a comfortable place. More than anything - neat and tidy, well maintained. Complimentary American breakfast; lunch and dinner on request. Both veg and non veg, at around Rs 60 per meal. Totally worth it, considering that that nearest restaurant is around 2 km away. For stay plus breakfast, they charge Rs 800 per night for non AC room. Check out their website for more details. 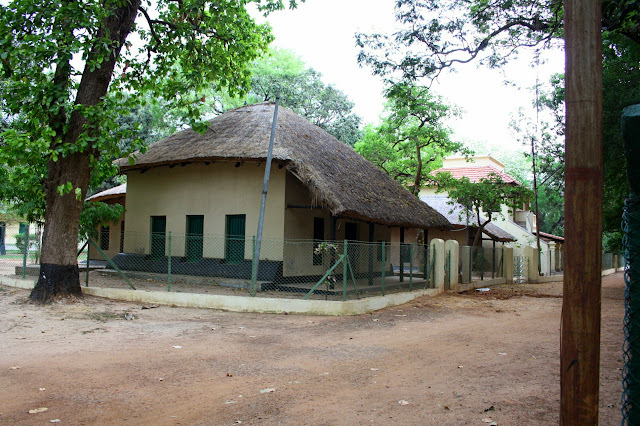 Visva Bharati University, founded by the great Poet Rabindranath Tagore is the highlight of Shantiniketan. Just one day is enough to explore Visva Bharati and all relevant Tagore-related places in Shantiniketan. Bicycles can be rented or if you are too lazy to ride, rickshaws can be hired. Walking around and exploring is not the best option as the area is too vast and in summer, you might exhaust yourself and catch a headache, in best case. 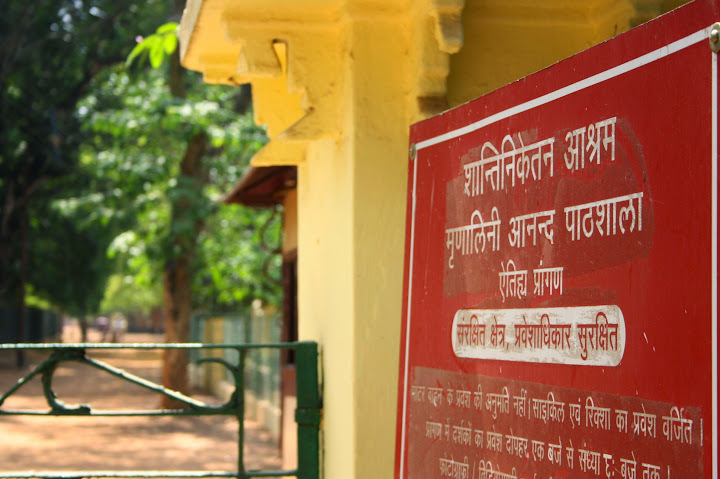 Visva Bharati has different institutes, some of which are The Kala Bhavana (Institute of Fine Arts), Sriniketan (Institute of Rural Reconstruction) and Vinaya Bhavana (Institute of Education). There are a couple of Tagore museums in the compound which display rare photographs, the Nobel Prize won by the Poet and many manuscripts. 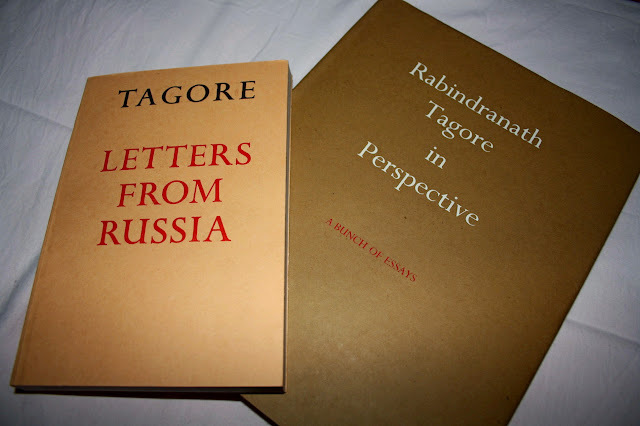 For readers, there is an excellent book store that sells works by Tagore, his teachings, biographies and related writings, in Hindi, English and Bengali. Guides are available in the campus who can take you all the relevant places and explain their significance. Sadly, photography is prohibited in most places in the campus! I could manage just a few snaps. 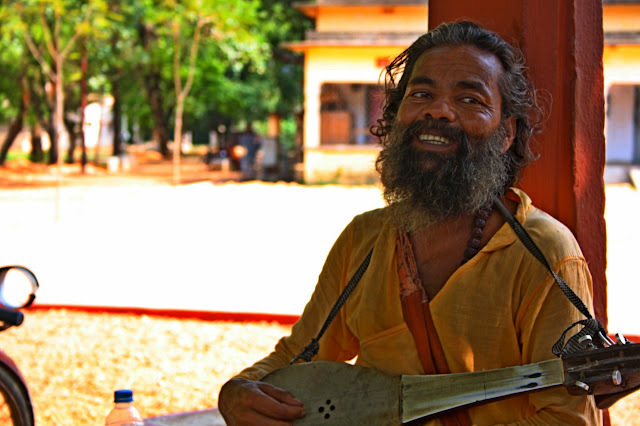 Shantiniketan or Visva Bharati is not a very popular traveling destination. I still chose it because I was kind of familiar with Tagore, I had read about him. He was not just a poet, he was an artist and a philosopher. Mahatma Gandhi and Tagore are two of the greatest Indians of the 20th century, they respected each other with all their hearts. At the same time, they differed in opinion in a lot of subjects, like nationalism. Tagore was an advocate of being a world citizen but on the other hand, Gandhi always held high the spirit of nation. This had caught my attention, if someone dared to disagree with the Mahatma, he deserves attention. Having felt the vibes of Tagore, I packed by bag back to Kolkata. 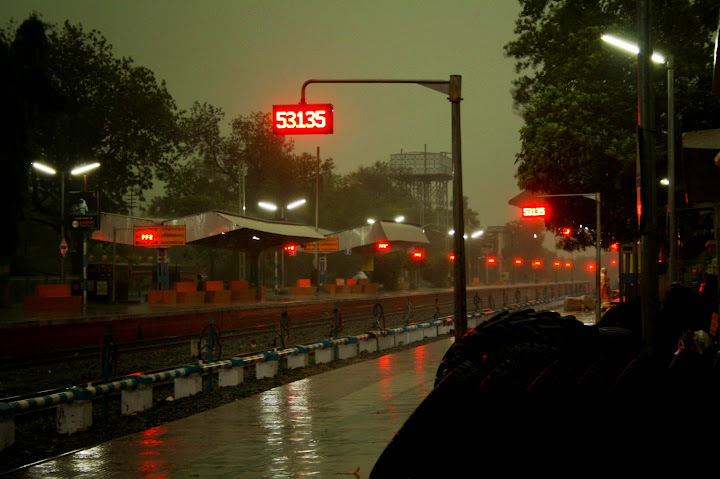 Took a 05:40 pm train that reached Howrah by 08:15 pm. 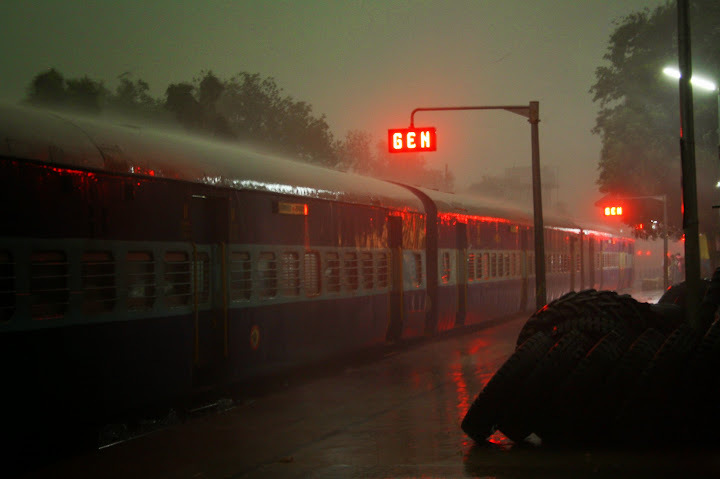 It was raining heavily at Bolpur before the train arrived and I got a chance to capture a train in rain. Train and rain, things I love unconditionally! 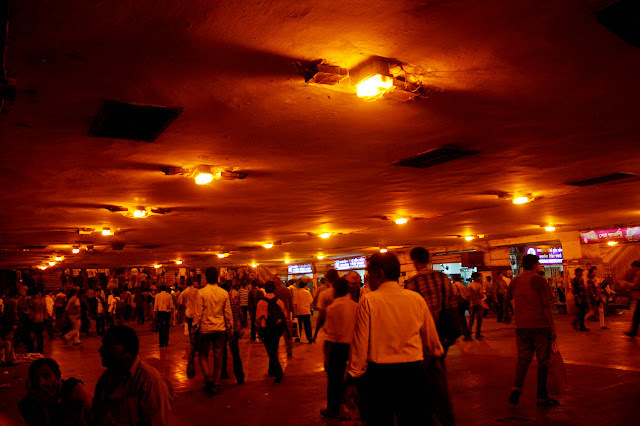 After getting down at Howrah, the city glowing in lights welcomed me as I walked out. The city that I longed to visit for a long while, the one I got chances to visit four times recently, the one who always took my breath away. Here I'm, back, again! 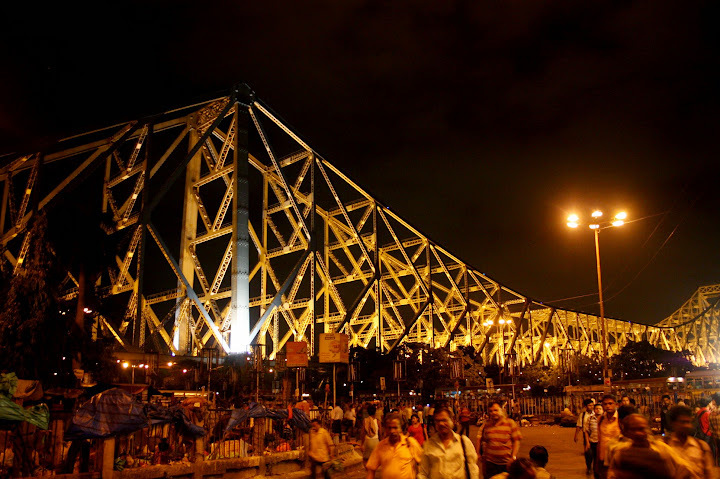 Howrah bridge, mighty and beautiful, always! Another lone travel. Knowing and feeling the world in solitude. I looked for signs, inside me, that could have told me 'enough of roaming around alone, enough of talking to myself on trips, enough of meals with no one to talk to around the table, enough of admiring all those places out there with a selfish happiness'. But I didn't hear any of those voices. Time has not yet come. Another reason to love my life as it is.